24 Apr 2017 --- A study has found that a diet high in animal protein was associated with a higher risk of non-alcoholic fatty liver disease (NAFLD), a condition which affects approximately 1 billion people worldwide. The study, conducted in the Netherlands, also showed that fructose consumption per se might not be as harmful as previously assumed. NAFLD can cause permanent liver scarring (cirrhosis), cancer and malfunction of the liver and contributes to an increased risk of cardiovascular diseases such as diabetes mellitus and atherosclerosis. The study included a total of 3,440 people with an average age of 71: 1,040 (30%) of the study’s participants were lean (body mass index [BMI] of less than 25), and 2,400 (70%) were overweight (BMI of 25 or greater). NAFLD was present in 1,191 (35%) of the participants. An externally validated 389-item food frequency questionnaire was used to assess participants’ macronutrient intake and analyzed in quartiles using the nutrition density method (energy percentage). Furthermore, analyses were stratified for BMI to account for BMI-related differences in eating habits and dietary measurement errors. The findings showed significant associations between macronutrients and NAFLD predominantly in overweight individuals. Total protein was associated with a higher risk of NAFLD, mainly driven by animal protein, the findings showed. After adjustments for metabolic factors, animal protein but not total protein remained significantly associated. Moreover, a diet rich in mono- and disaccharides was associated with a lower probability of developing NAFLD, though this association did not remain after metabolic factors were taken into account. Finally, substitution analyses were performed to examine whether replacing one macronutrient by another (isocaloric) macronutrient was associated with NAFLD. No consistent substitution effects were found, which stresses the need for a diverse diet. Emerging evidence suggests that the composition of the diet, rather than the amount of calories consumed, might also be important in NAFLD. "A healthy lifestyle is the cornerstone of treatment in patients with NAFLD, but specific dietary recommendations are lacking," says Loes Alferink (MD), Erasmus Medical Centre, Rotterdam, and lead author of the study. "The results of this study demonstrate that animal protein is associated with NAFLD in overweight elderly people. This is in line with a recently proposed hypothesis that a Western-style diet, rich in animal proteins and refined food items, may cause low-grade disturbances to the body homeostasis, glucose metabolism and acid base balance. Another interesting finding is that, although current guidelines advise against foods containing fructose, such as soda and sugar, our results do not indicate a harmful association of mono- and disaccharides with NAFLD per se,” Alferink adds. “In fact, we even found a slight beneficial association, which was attenuated when adjusted for metabolic factors. These results should be interpreted with caution, but we hypothesize that increased consumption of healthy food items within the mono- and disaccharide-group, such as fruits and vegetables rich in antioxidants, could partly explain these results." The study does not differentiate between different types of animal proteins, mainly because it was designed to examine macronutrients and NAFLD primarily, and testing subsequent different hypotheses would lead to multiple testing biases, Alferink tells NutritionInsight. “We did, however, do some sensitivity analyses, such as the substitution analyses to test the robustness of our data and to give more insight into associations between macronutrients and its subtypes. Nevertheless, we agree that this study is a first step to determining specific food items that are either harmful or beneficial for NAFLD. We will therefore examine this more closely in a subsequent study primarily focused on dietary patterns and its food items. The hypothesis for this subsequent study is that the association [between] animal protein and NAFLD is mainly driven by food items such as red meat and refined meat (high in unhealthy constituents such as salt and nitrates/nitrites leading to endothelial dysfunction or heme iron leading to oxidative stress). This would be in line with findings for cardiovascular disease (e.g. Micha et al. Current Atherosclerosis Reports 2012), with which NAFLD is linked through the Metabolic Syndrome,” Alferink says. 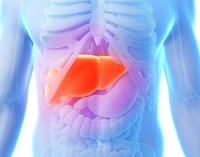 The study's findings were presented at the International Liver Congress 2017 in Amsterdam as part of the Rotterdam Study, an ongoing population-based study that is being conducted in The Netherlands. “Although NAFLD is not an elderly disease per se (even though prevalence increases with age), the mean age of the study is high because of the original design of The Rotterdam Study,” Alferink adds. The Rotterdam Study was designed in 1989 and originally only sought to study diseases prevalent among the elderly. At that point, participants of 55 years or older were included. Later on, two more cohorts were added: one again with the minimum age of 55 years or older and the other with a minimum age of 45 or over, Alferink says, which explains why the age range for this study is 51 up to 97 with an interquartile range of 57-77.